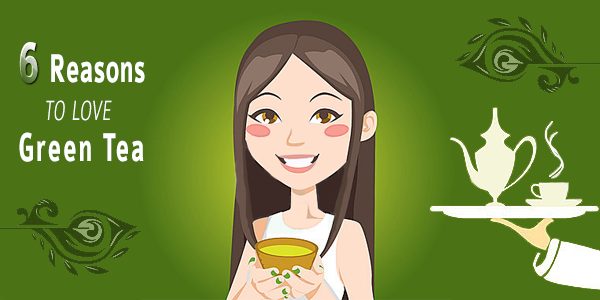 There have been many studies on green tea consumption’s health benefits as well as the benefits of green tea extracts. Obviously, drinking green tea has more traditional roots in Asian countries than in western nations. Drinking green tea has become more popular in western countries, since its health benefits have been increasingly publicized over the past few decades. But along with those benefits, there have been concerns over tea’s fluoride content. The youngest leaves cultivated properly with buds have the least significant amount of fluoride. Japanese jasmine green tea is made from young leaves grown seasonally at moderately high altitudes, making its fluoride content very low. Tea bags with older tea leaves, black teas, decaffeinated and instant teas, as well as cheap brick package teas have the highest fluoride concentrations. So a simple rule is to use high quality, young, loose-leaf green teas, such as jasmine and others grown in areas that don’t irrigate with fluoridated water, which is almost anywhere outside the USA. Besides, the compounds responsible for all the health benefits are fewer in older plant leaves than younger ones. If you’re still not too keen on drinking substantial amounts of green tea, fluoride and caffeine free green tea extracts are available. Green tea extracts are often used in anticancer studies that prove green tea compounds’ efficacy on fighting cancer. (1) The 2009 journal, Phytochemistry, published a study that looked into the potential for green tea’s antioxidant catechin compound epigallocatechin gallate (EGCG) to inhibit metabolic syndrome, the precursor of type 2 diabetes. The research team discovered promising potential for EGCG to create that effect. (3) Another Japanese study, recorded in the 2008 Journal of Nutrition, determined from an epidemiological study (large population statistical analysis) and a review of several animal randomized control tests (RCT) that higher green tea consumption has a positive effect on reducing cardiovascular disease (CVD) risk. (4) A New York in vitro (petri dish) study determined that immunoglobulin E (IgE), a principle allergen antibody, was reduced with green tea extracts, further supporting evidence of green tea’s anti-allergy capacity and immune system support. Recorded in the Annals of Clinical and Laboratory Science 2010. (5) This study discusses the cancer preventative properties of green tea that are mediated by EGCG, which induces cancer cell apoptosis (cell suicide) and cell growth arrest. The research team delineate the biochemical activities of green tea’s preventative actions against colon, skin, lung, prostate, and breast cancer. (6) A Hong Kong, China, study using both in vitro and in vivo human testing determined that green tea provides significant protection against DNA damage, or genoprotective effects. They used a “comet assay” to determine DNA damage from H2O2. Published in the 2011 British Journal of Nutrition. Even more green tea studies are available if you can handle wading neck deep through intense medical and biological babble. They can be very educational if you take the time to look up some of those esoteric terms. Consumer discretion is advised for researching, shopping, and sampling green teas for the optimum health benefits with minimal fluoride concerns as discussed earlier. Green tea extract supplements may pack even more powerful antioxidant, anti-cancer, and immune system support than a few cups of green tea. But if you’re a tea lover, hold the sugar and drink up with the knowledge that you’re supporting your resistance to disease. ← What Is A Whole Food Diet?